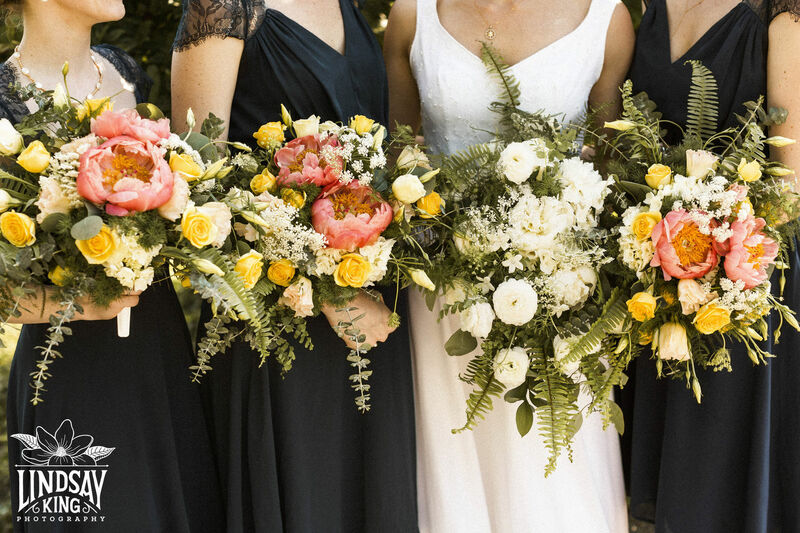 BOYD'S brides will feel secure with the knowledge that their flowers will be custom designed to suit each personal style, ceremony atmosphere, as well as reception locations. Your experience should be fun and reflect your individuality. So please collect pictures of flowers, bouquet styles, dresses, settings and color swatches --- this gets the creative process off to a terrific start and helps us get to know you. Giving you great value is important to us and we will be glad to make suggestions that give you the best look within your personal budget. We invite you to view our current value wedding packages. Each package combines readily available flowers with a time-efficient design style to pass savings and value directly to you. One package may be perfect for you or a nice starting point. Large or small, formal or casual…. Boyd's designers have many creative ideas for your wedding! Following an individual consultation, you will work with our design professional who will guide you in developing your wedding plans from conception to reality. Your Boyd's professional will oversee all design and staff functions needed to give special attention to every detail. Our experience has shown us that last minute changes can occur in even the best of plans. Please know that for these rare occasions, we are prepared --- available by phone 24/7, designers on call and delivery vehicles equipped with radio contact. We understand your time is precious and encourage you to stay in touch with us as your wedding date approaches via e-mail or phone with questions or concerns that may come to mind. Everyone here at Boyd's is looking forward to working on your behalf and it would be an absolute honor to be a part of your wedding day!